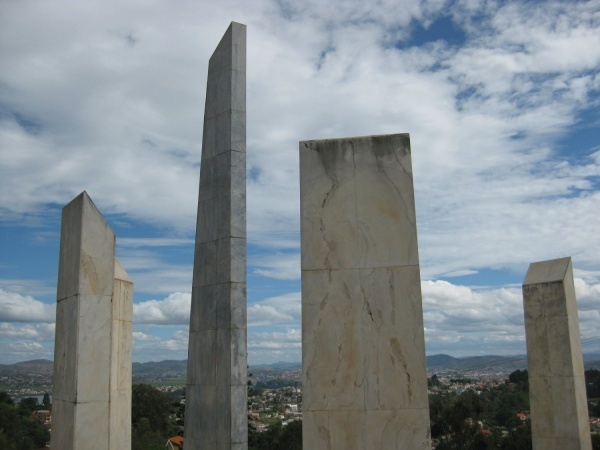 Antananarivo Mausoleum, simply referred to as the Mausolée, is a tomb situated on a hilltop in the Antanimora district of the capital commemorating various unknown Malagasy soldiers and some of their leaders who lost their lives in the 1947 war against the French colonisers. A rebellion against the French colonisers organised by leaders of MDRM (Movement for the Development and Renovation of Madagascar) and the Menalamba (guerrillas between the two world wars) took place shortly after the 2nd World War. Some members of the 2nd republic (Ratsiraka regime), including the Prime Minister, who died after accidents, are buried at the Mausolée. This page was last modified on 5 September 2016, at 22:55.